Thanks for taking the time to read our article on the best LED torch for walking the dog. There are many people in the UK who walk their dogs in the early morning or the late evening. Typically the light will be variable as that time is usually at dusk or even at night time. Most people will be fortunate enough to be able to take advantage of street lighting. That will be enough safety for most people. However, there are times when there may not be sufficient street lighting, or simply none at all. Many parks and walkways up and down the UK may simply not have street lighting, or it could be faulty and even vandalised. That is when a torch is really useful for dog walking. What Type of Torch Do You Need for Walking Your Dogs? Should You Buy an LED Torch for Dog Walking? This divides opinion and that is simply because we all have different opinions on what makes the best torch for dog walking. Some people prefer a cheap and cheerful hand held option from eBay or Poundland, and others prefer a head lamp, or a torch that can be recharged. The right type depends on what you actually want, and not what someone else tells you that you need. Some people will be happy to put on a head lamp, whereas others would not be seen dead wearing one of those. At the end of the day, the reason people want a torch is pretty simple. It is to light up a dark area where they may be walking their dog alone. They want to be able to see where they are going, and they also want to feel safe. What I am going to do in this article is to show you the options, and you can decide which type suits you best. Some people are happy to carry a torch in their hand and some prefer one that will fit into a pocket. Everyone will also have a certain amount of money that they are prepared to spend. 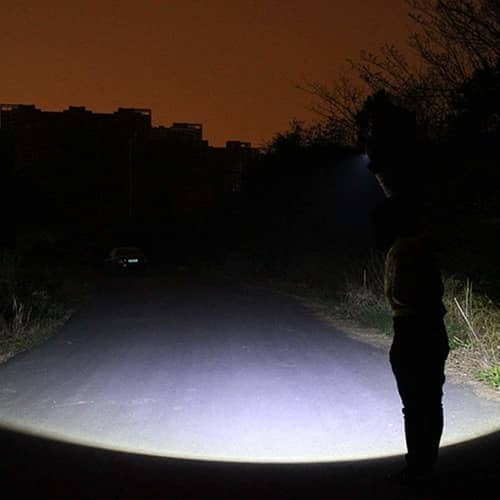 Irrespective of the exact type of torch you want in terms of style, shape and convenience, the one thing I would strongly recommend is to buy an LED torch. The reason for that is the LED bulbs last for years, and they do give out a strong light. Almost all homes now use LED bulbs so as they no longer have to continuously replace those filament style bulbs. This one is well priced and has sold in its thousands and fits neatly into your pocket. It uses 3 x AAA batteries and it has a range of up to 100 metres. The lumens (brightness) of 140 and uses high quality CREE LED lighting. It is made of heavy duty aluminium and is is adjustable. In other words it can be used as a spotlight for long range or a floodlight for large area illumination. Online buyers rated this torch with 95% buyer satisfaction. This torch pretty much ticks most of the boxes for dog walking. It is well made, waterproof, and people who buy this torch use it for dog walking, hiking, camping and for emergency situations. When walking your dog, the range is about 2 metres on wide beam, and you can also adjust the beam so as that extends up to 100 metres. The torch can withstand heavy rain so no need to worry about that. Having a head torch is simply all about keeping your hands free. Many evening and night time joggers use these regularly. This one has 220 lumens of light and like the one above this is also waterproof. The batteries are rechargeable via a USB and provide 30 hours of light on one charge. 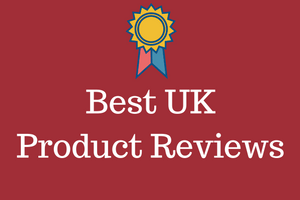 Online buyers rated this torch with 94% buyer satisfaction. Has a full money back guarantee. This type of torch is usually used for camping, fishing, biking and for running. Many dog walkers also are starting to use this type of head torch, simply because they are convenient. This choice has a powerful high lumen LED that creates a brilliant large area floodlight or a perfectly focused spotlight over a beam distance of 656ft/200m. Online buyers rated this torch with 90% buyer satisfaction. Has a full money back guarantee. This torch fits easily into your pocket and is a good choice for dog walking. It is adjustable in terms of focus. It is also waterproof.